Closed down some ten years ago, La Ménagère has recently been resurrected. A painstakingly designed bistro now welcomes gourmets and food lovers. And why not indulge in a fragrant and colourful bunch of flowers? The new venue already draws a large number of people in Florence. The renovation works have preserved the nature of the original building. 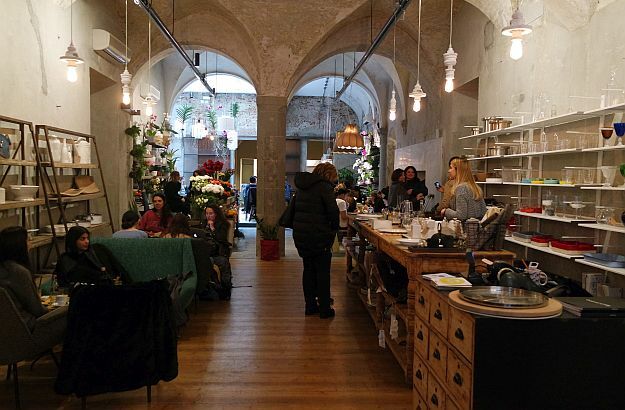 “Oh no, La Ménagère is closing down, really?”… This is a cry of disbelief one could hear on the lips of Florentines, over and over again, some ten years ago; La Ménagère, a famous and lovely houseware store founded in 1896, would soon be a thing of the past. Almost anywhere in the world, residents of historic towns and cities usually recoil when they hear that a part – even a tiny one – of their precious local heritage is about to go up in smoke. 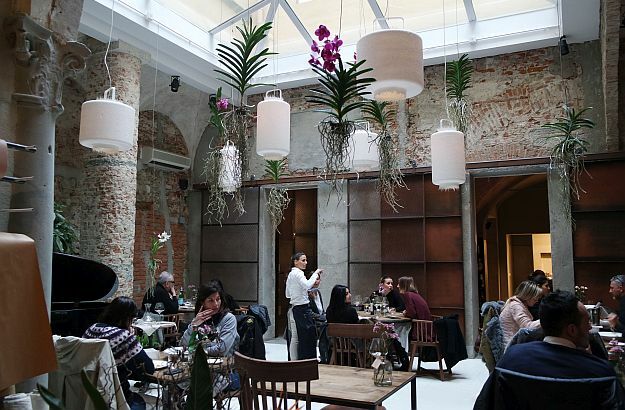 But Florentines had a sigh of relief when La Ménagère recently resurrected into a concept restaurant, thanks to a team of young designers and food lovers. 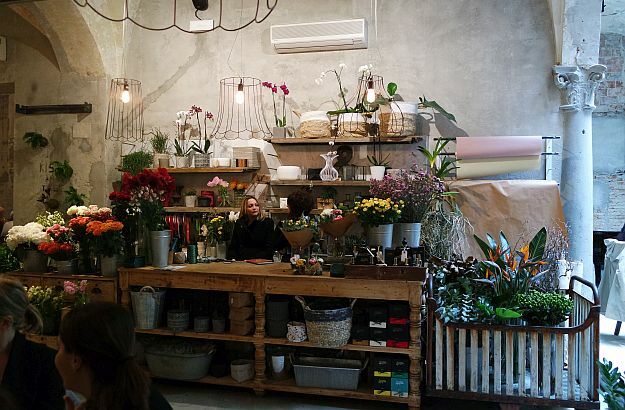 And it has already become one of the most magnetic addresses in town, bringing together in one place gourmet cuisine, quality kitchenware and sweet-smelling flowers – the kind of place I can easily spend hours hanging around! The restoration works have been carried out with a view to preserving the nature of the building and the history of the former store. But touches of contemporary design have also been brought by the new creative team, and cultural life and trends, taken into account. 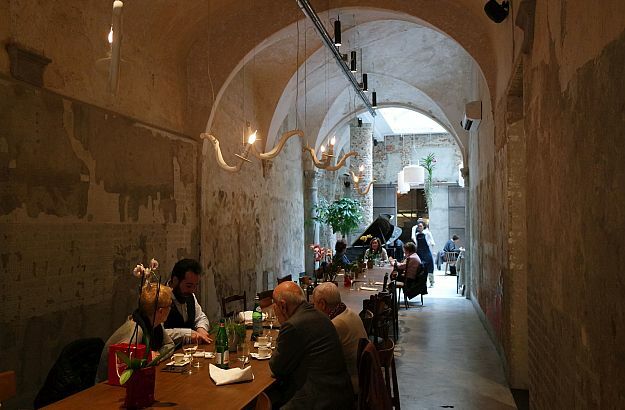 Recycled and repurposed materials, as well as a wide range of hand-crafted objects, enliven the modernized 1500 square meter space and give it a quite romantic atmosphere. Even if you just drop by La Ménagère to enjoy a coffee or aperitif at its bistro, you will definitely like the reborn venue. 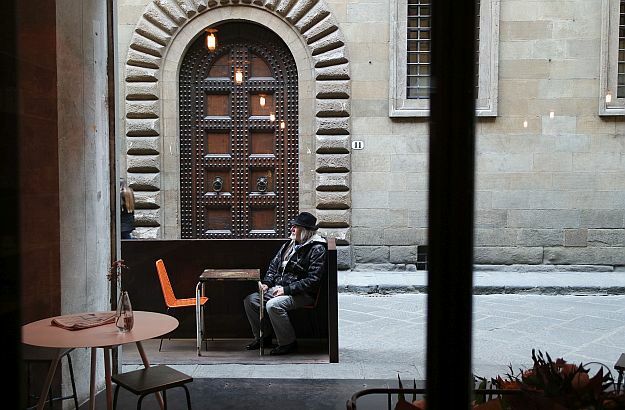 Located near the San Lorenzo Basilica and the Mercato Centrale, La Ménagère can also be easily reached on foot from the Santa Maria Novella train station. It is open daily from noon to 11pm, and live music is programmed every Friday and Saturday evening. Here is the link to its website.